In 2018, 10GbE is affordable for both home and small office networks. As 10GbE switches have come down in price, power consumption and noise, adding 10GbE to a small network has become a reality. From a server perspective, all Intel server CPU families from the Intel Atom C3000 to Xeon Scalable, except the lower volume Intel Xeon E-2100 series support 10GbE. Embedded chips from other vendors such as AMD and Marvell have 10GbE onboard as well. 10GbE is becoming relatively inexpensive to implement and now the Asustor AST4004T provides a low cost to serve storage to local networks. 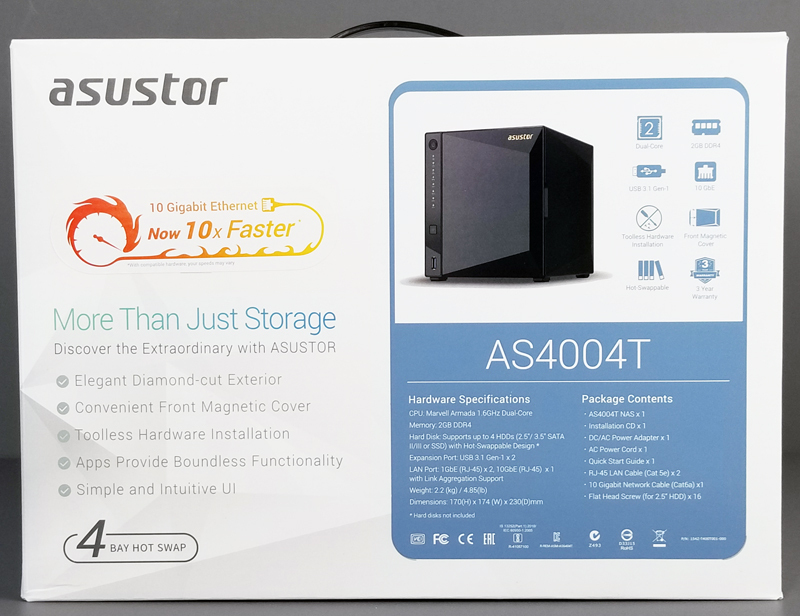 With 4-bays, a low cost and low power 10GbE implementation, the Asustor AS4004T has features we want to see in a NAS that we covered when we first saw the unit at Computex 2018. 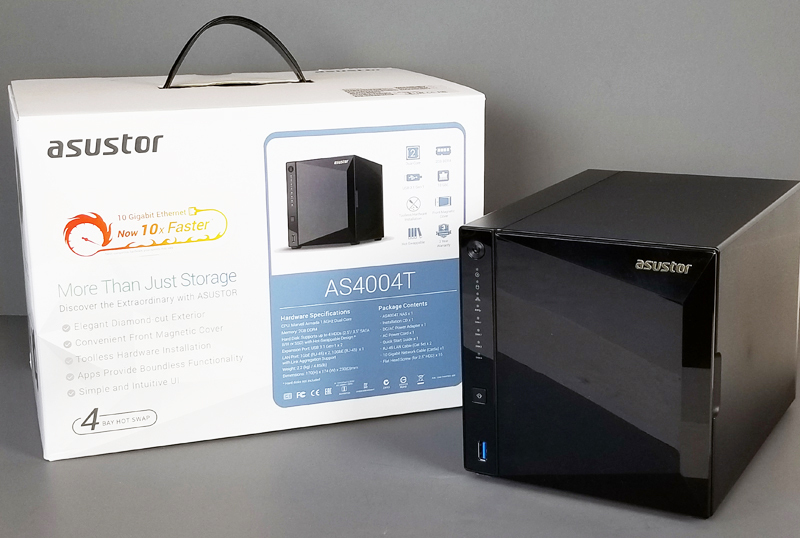 The Asustor AS4004T has a built-in 10GbE and is designed to be a low-cost 4-bay NAS. Some competitive offerings claim 10GbE support but have an asterisk that denotes needing to add a 10GbE PCIe card that itself costs more than the Asustor AS4004T. 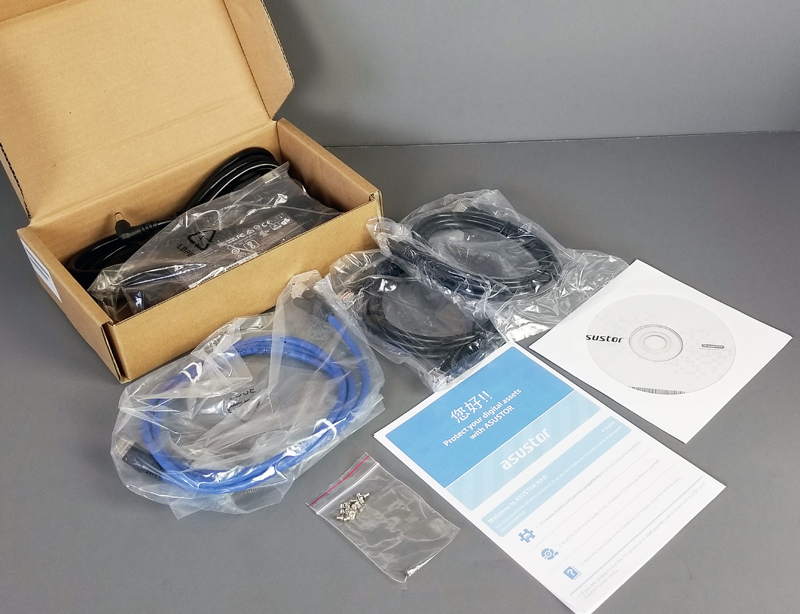 Looking for a NAS that has 10G capabilities you will find the bulk of these units include a PCIe slot that can install a 10G network card; this adds a great deal to the cost of the NAS which are usually a higher end NAS. The AS4004T powered by a Marvell Armada-7020 1.6GHz (dual-core) processor which is a lower cost Arm SoC. Using a low-cost Arm SoC with 10GbE built-in means that the company can keep pricing on the overall unit much lower with street pricing in the $360 range. 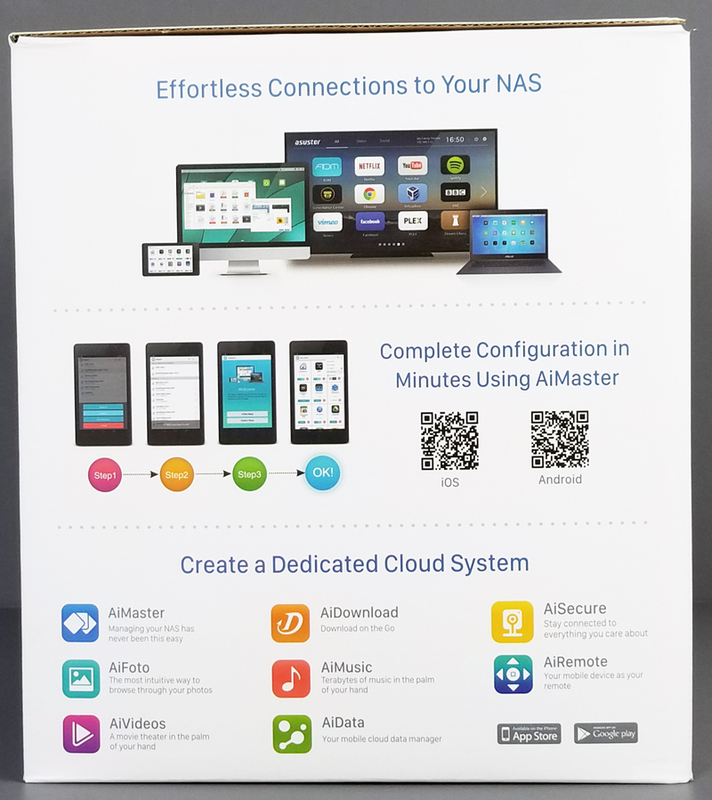 With only 2GB DDR4, and no expansion option there, this is focused more on being a NAS with a few extra apps running instead of an all-in-one workgroup converged virtualization appliance. The first thing we spotted was the graphics that says 10x faster, this means 10x faster than 1GbE network connections. The left side of the box shows graphics that highlight tool-less hardware installation, and the front cover is magnetic for easy removal. 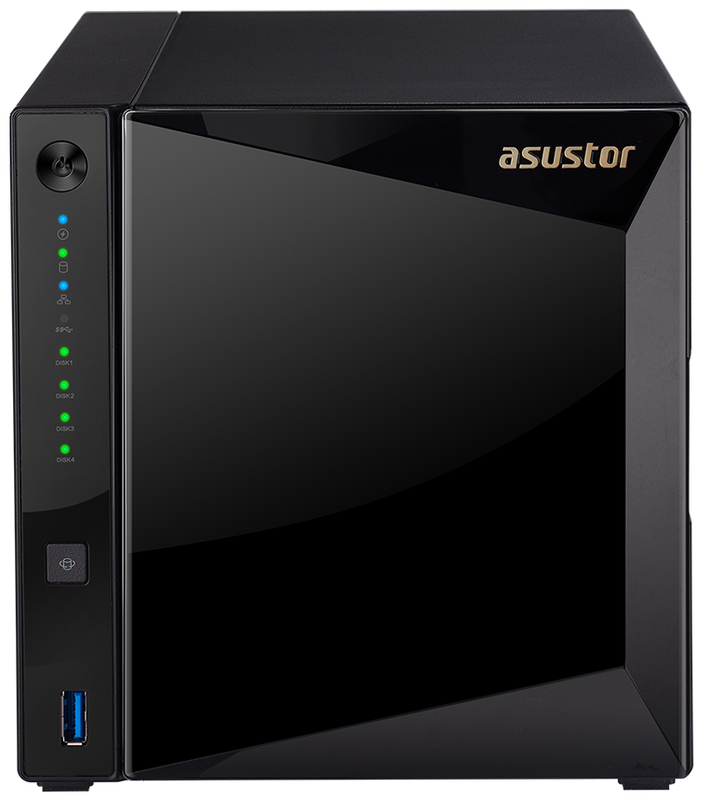 The right side of the box details Asustor ADM features and Andriod install screens. 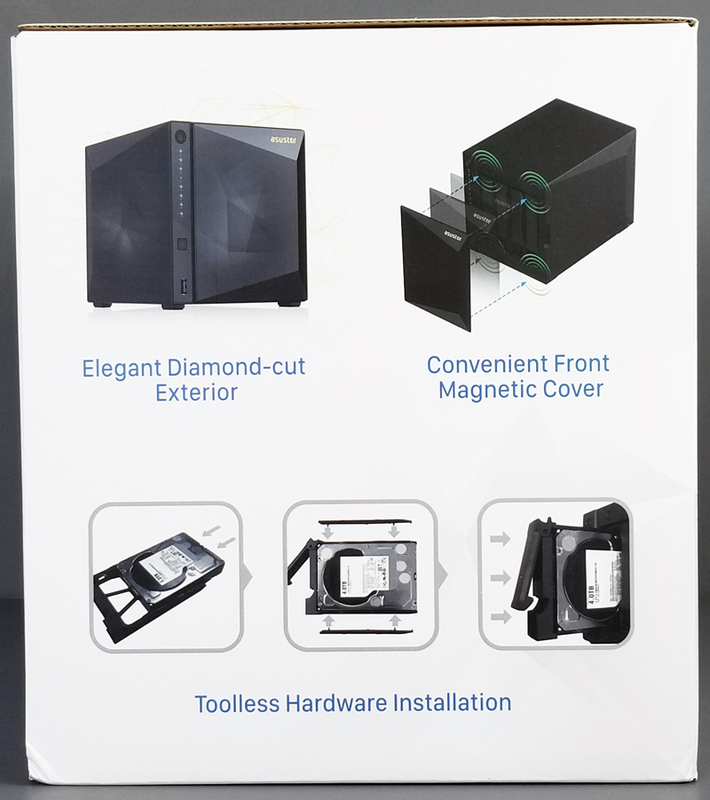 The front of the AS4004T has a new look with a magnetic locking diamond-cut outer faceplate that looks clean and is easy to remove to gain access to the drive bays. Status LEDs line the left side of the front which offers vibrant colors and lighting for different status indicators. Status indicators include power, system status, network, USB and hard drives which will stay steadily lit for normal operation or flash if errors occur. Here we see the back of the AS4004T; a sizeable 120mm fan provides cooling. This large fan keeps noise to a minimum as compared to legacy units which used much smaller and higher rpm fans. Along the right side, we find a USB 3.0 port at the top, followed by a 10 GbE and two 1 GbE ports for network connections. With the front faceplate removed, we get a look at the four drive bays; the drive trays unlock by pulling the latch and pull outward. To insert a drive slide the disk tray into a slot and push the latch to lock the disk tray in place. 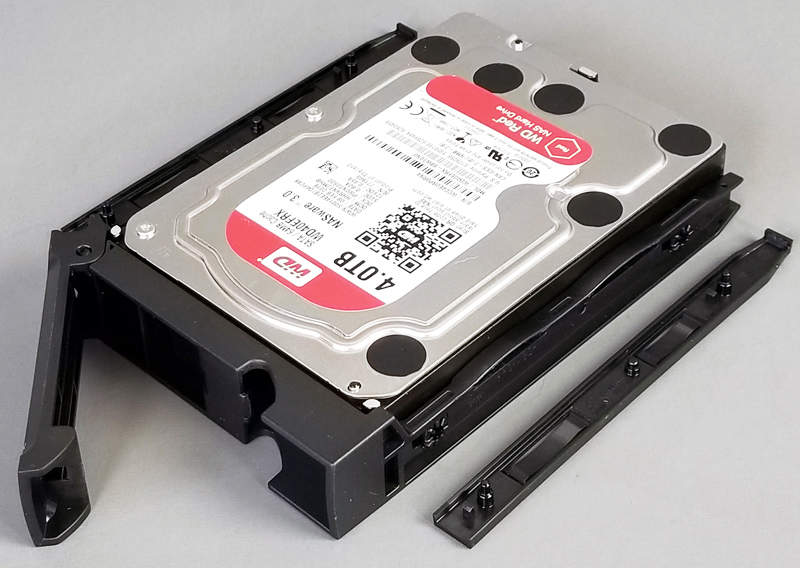 The tool-free caddie simplifies installing hard drives, this style of drive trays is something we see a lot of from different manufacturers and has become a standard in nearly all NAS systems we test nowadays. That is everything one may need to get started. Since the unit is focused on cost-optimization, we could have imagined a bundle with only a single network cable. 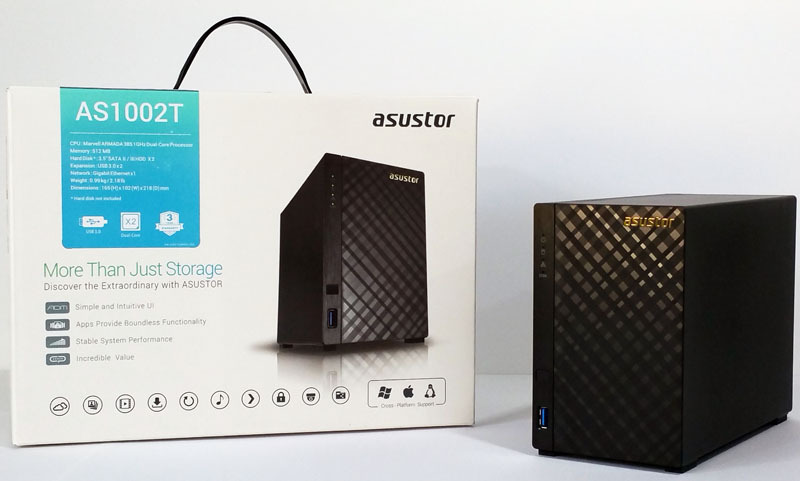 We applaud the Asustor team for adding a full set of three cables with the unit. That is something that not all vendors will do in this price segment. Next, we are going to cover the Asustor AS4004T setup and management software, followed by the performance and then our final thoughts. 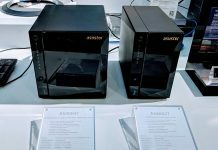 The Asustor AS4004T is a NAS on a mission: provide the lowest cost 10GbE 4-bay network attached storage on the market, and make it easy to use and integrate into SMB office and SOHO networks. 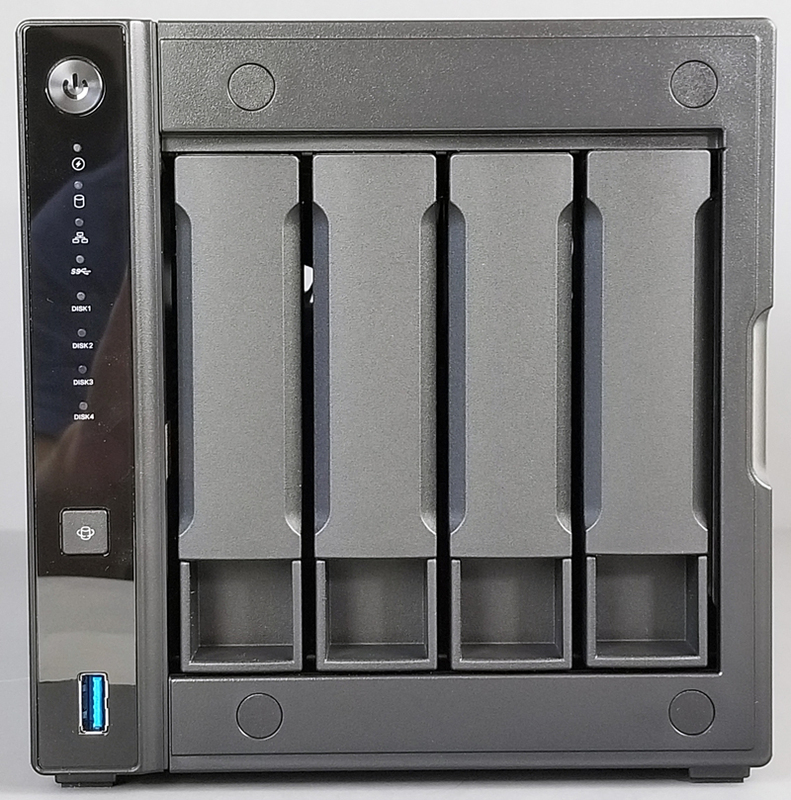 There is also a 2 bay version (Asustor AS4002T) on with 10GbE listed on Amazon for $100 less that also has JBOD, RAID 0, and RAID 1 support. Why even bother having 10G network with such a low amount of memory? (not expandable) – I wouldn’t bother with it. Way better options out there. Scott S there’s a sizable number of businesses that just want faster than 1Gb network speeds. RAM isn’t what I worry about. It’s that you’d need 8 drives to saturate 10Gb. But you can still go faster than 1Gb even using two drives. 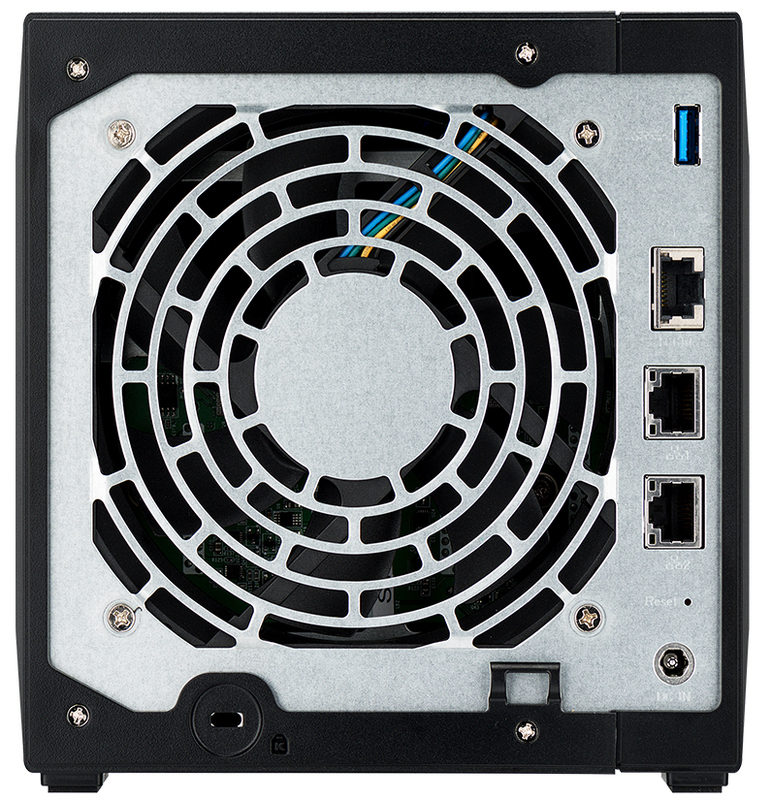 Would be good to see some comparisons of various NAS boxes in this bracket in transfer speed etc. My main point is stuck with 2G seems to defeat the object. If you could have up to let’s say 32G or even 16G would be quite good.